The Juilliard Quartet is performing these seemingly insignificant little pieces (I mean, 3 very different pieces in about 7 or 8 minutes of music) which are very difficult to program and sometimes difficult to understand, they're so short. But there really is a complex context around them, in terms of the music itself, what was going on in the composer's life at the time and the history of the time they were composed, not to mention the significance they play in the development of Stravinsky's style following his most famous work, premiered the previous year, his ballet The Rite of Spring, generally regarded as the work that began what we think of as 20th Century Music. That's what I explore in this post, "Stravinsky's 3 Pieces: Building Bridges" over at the Market Square Concerts' Blog. And this just added: a post about the Mozart Quartet, K.464, one of the "Haydn" Quartets, on the program - Mozart & Haydn: The Birth of a Musical Legacy. An Autumnal Interlude: from Haydn's "Seasons"
Though it's felt like autumn much of this past week, it officially begins at 5:05am EDT (that's 9:05am GMT) today (Friday, September 23rd) so I thought, after all these posts about very serious things, here's something to just sit back and listen to. Soprano Gundula Janowitz sings the role of the peasant girl Hanne, tenor Peter Schreier sings Lukas and bass Martti Talvela sings Simon, along with the Wiener Singverein and the Vienna Symphony conducted by Karl Böhm in this classic DG recording of the "Autumn" section of Franz Josef Haydn's secular oratorio, The Seasons. Whate’er the blossomed Spring put in white promise forth, Whate’er the Summer’s sun swelled to a full perfection, now in bounteous Autumn rejoice the heart of man. Rich, silent, deep, the harvest stands, far as the circling eye can see; The granaries can scarcely hold th’abundance of the flowing fields. The labourer’s pains are now repaid; and as he glances round on every side the prospect gladdens his grateful heart. Thus Nature, with a lavish hand, rewards the toil of man; and in the lap of Industry the mellow plenty falls. Her bounties shine, in Autumn, unconfined. These are the gifts of honest toil: The cottage where we dwell; The clothing that we wear; The produce that we eat. These are the gifts bestowed by thee, O toil, O honest toil. Thou source of virtuousness - uniting every gentle heart: Thou source of justice - protecting every erring heart: Thou source of moral strength - which governs every cultured heart. O toil, O honest toil, from thee springs every good. 26. Recitative Simon Where once the plenteous harvest wav’d, some uninvited guests appear: scared from the stubble limps the hare, and, scampering, the harvest mouse. The farmer sees no wrong, and lets these creatures take their humble dole. The gleaners spread around and feed on nature’s charity. The clamour of the sportsman’s gun is heard, fast-thundering. With shouts resounding from the hills, wild for the chase, the huntsmen come. Behold, along the ravaged fields the spaniel goes in search of scent; and still obedient to command, he follows it unerringly. But now his senses are aroused; he hears the chiding voices no more. He races, and in mid-career he scents the game, and stiff, with open nose, he stands. In vain they beat their idle wings upon the surges of the air; though borne aloft they are not safe: the shot rings out from the fowler’s gun and down they fall from the towering height. Hark the mountains resound! The vales and forests ring! It is the shrill-sounding hunting-horn - the cry of the hounds and the huntsmen! The noble stag is roused by fear; and eagerly all of the pack pursue. See how he leaps, See how he bounds, O see how he flies! He bursts the thickets and sweeps through the glade, and fleeter than wind seeks the sheltering wood. The hounds have lost the scent; dispersed they seek the latent prey. Tally ho! The clamour of the hunting-horn has gathered them up again. Tally ho! With ardour redoubled, up behind the stag comes again the inhuman rout. Surrounded now on every side, he stands at bay and groans in anguish, while the pack hang at his chest. The clamorous horn proclaims the kill, relaying the glories of the chase, the death of the stag and the sportsman’s joy. Hurrah! The vineyard now its wealth displays, with bending boughs and clusters clear, that swell refulgent on the day, as thus they brighten with their juice. 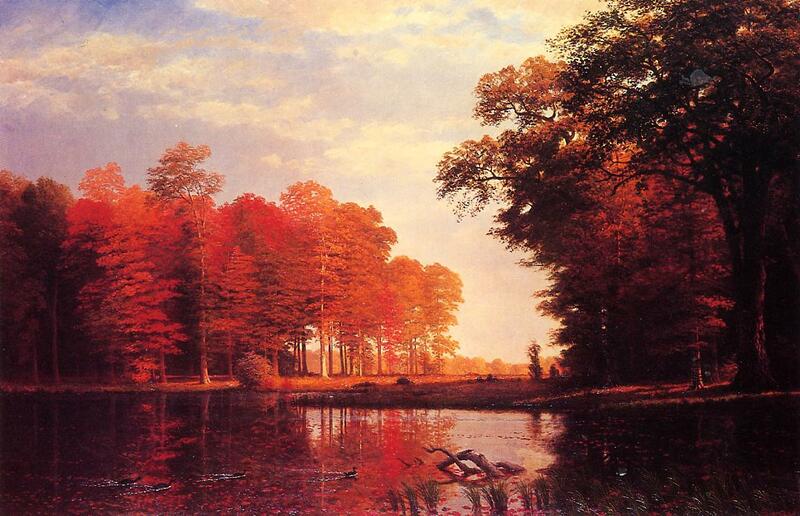 The rural youths and maids, exulting rove the fields, each fond for each to cull the sweet Autumnal prime, and speak the vintage nigh. See how the loaded vats foam in transparent floods, while in their festive joy the jocund sound re-echoes. Thus they rejoice, nor think of the toil, from early morn to set of sun; but, when they see the juices ferment, their work gives way to merriment. Joyful the liquor flows, that by degrees refined, high-sparkling cheers the soul! Hurrah! Produce the mighty bowl! Now let us merry be! Let us drink now, drink in festive joy. Let us sing now, sing in festive joy. Hip, hip, hurrah! Three cheers for the wine! Three cheers for the soil that did no wrong; Three cheers for the vat that made it strong; Three cheers for the bowl we pass along. Let us drink now, fill the glasses, Once more let us drink in festive joy. Hurrah! Let’s praise the juice divine! Hey there! Three cheers for the wine! A band from the village now starts up the dancing: The fiddle is scraping, The organ is groaning, The bagpipe is droning. The children are prancing, The youths to the sound are advancing. The girls in their arms now are dancing An old country dance. Trip it, trip it, foot it featly! Trip it, trip it, step it neatly! Good fellows all, come fill the bowl! And drain it down! Gaily singing! Laughter ringing! Hip, hip, hip, hurrah! Joyous and jocund, let’s merry be! And now let all the company In friendly manner all agree Let’s merry be this joyful day! Hang sorrow! Let’s cast care away! Let us now both sport and play! Three cheers for the wine, the noble wine, that joyfully now appears! Let’s praise the juice divine. All hail to the wine. All hail! On this first weekend of Autumn, however, I'll be taking in the first concert of the season with the Harrisburg Symphony conducted by Stuart Malina - a mostly-Russian program with Rachmaninoff's 1st Piano Concerto and Prokofiev's 5th Symphony. The odd-man-out here is Franz Liszt, a Hungarian-born pianist and composer who wrote a series of rhapsodies based on gypsy themes, six of which have also been orchestrated. The 2nd Hungarian Rhapsody, the most popular of these, opens the concerts - Saturday at 8pm and Sunday at 3pm at the Forum. An hour earlier, the orchestra's assistant conductor Tara Simoncic will be offering a pre-concert talk in the auditorium free to ticket-holders. 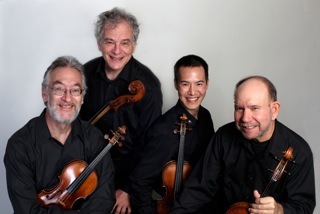 Then next weekend, it's the Juilliard Quartet who'll be coming to town, performing the curious and brief Three Pieces for String Quartet by Igor Stravinsky, Janáček’s 1st String Quartet inspired by Tolstoy's "The Kreutzer Sonata," and one of the string quartets Mozart dedicated to his friend, Haydn, the Quartet in A Major, K.464. That's at Whitaker Center, Oct. 1st at 8pm. Personally, between all the rain and the flood - geez, the third worst flood in Central Pennsylvania since 1900 - I'm certainly glad to see this summer end. Now for the new season - both Autumn and the 2011-2012 Season! I’ve discovered that reading Tolstoy’s The Kreutzer Sonata on a gloomy morning is not the best way to start the day. Preparing the post about Janáček’s 1st String Quartet for the Market Square Concerts blog, I decided I should reread the novella. If you’re not familiar with it or haven’t read it yourself, you can check out this wikipedian summary, the eQuivalent of Cliffs Notes. You can read the complete novella here. Tolstoy’s novella “is an argument for the ideal of sexual abstinence and an in-depth first-person description of jealous rage. 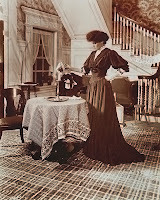 The main character, Pozdnyshev, relates the events leading up to his killing his wife; in his analysis, the root causes for the deed were the 'animal excesses' and 'swinish connection' governing the relation between the sexes." 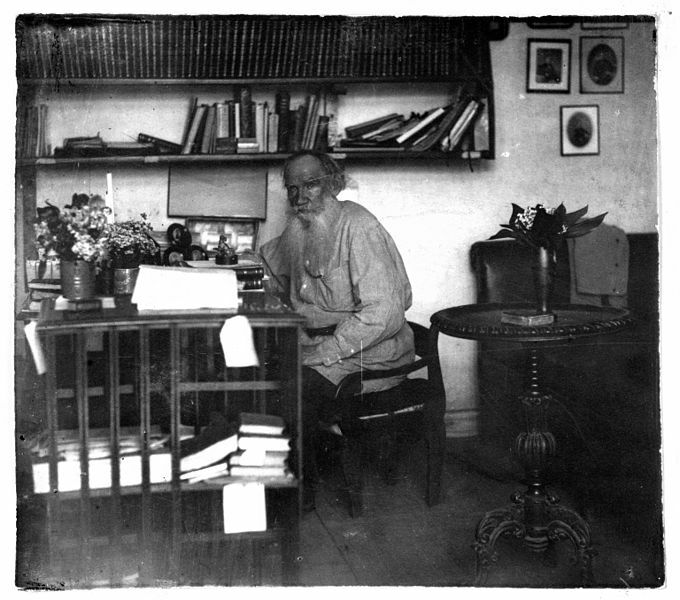 In an essay entitled “The Lesson of The Kreutzer Sonata”, Tolstoy (photographed here in 1908) explains his view of the subject matter. Regarding carnal love and a spiritual, Christian life, he points out that not Christ, but the Church (which he despised and which in turn excommunicated him) instituted marriage. "The Christian's ideal is love of God and his neighbor, self-renunciation in order to serve God and his neighbor; carnal love – marriage – means serving oneself, and therefore is, in any case, a hindrance in the service of God and men". Of course, his religious viewpoints evolved over several years and might stem from the summer he began reading Schopenhauer in the late-1870s, while in the midst of writing Anna Karenina, a conversion he then shared with the character Levin. In 1882, he published “A Confession” which documented many of his new-found ideas, rejecting many traditional religious and social viewpoints. 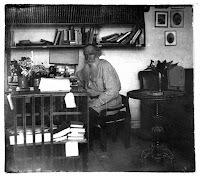 Tolstoy, completing The Kreutzer Sonata in 1889, found himself confronted by controversy when attempting to publish it. Mimeographed copies – and I was surprised to see that Edison had patented a mimeograph machine in 1876 – circulated in Russia until it was officially available in print (see photo, right). However, the book also ran into problems in the United States in 1890 when the United States Post Office prohibited the mailing of newspapers containing serialized installments of The Kreutzer Sonata, a decision later confirmed by the U.S. Attorney General . The New York Times reported in August, 1890, that four street vendors were “captured” by a New York City 1st Precinct policeman with cartfuls of “mutilated paper-covered reprints” of Tolstoy’s banned novel, admitting they’d received them from a “Barclay Street publishing house” and hawking them with the sign “Suppressed” in order to attract potential buyers’ attention. The judge at their hearing was told by the prosecuting attorney that this book “came within the category of indecent literature,” showing the judge a specially marked copy with specifically marked passages. Justice White, in the Tombs Police Court, apparently found “nothing likely to affect public morals” and felt the peddlers’ offense (“if any had been committed”) was misleading the public by “parading the book as a suppressed publication.” The peddlers and the publishers were then summoned for a further appearance. Apparently, the case went on to the Common Pleas Court No. 4 in Philadelphia where, on Sept. 24th, 1890, Judge M. Russell Thayer ruled that Tolstoy’s novel, The Kreutzer Sonata, was not obscene. The Judge continues, “Count Tolstoi’s ‘Kreutzer Sonata’ may contain very absurd and foolish views about marriage. It may shock our ideas of the sanctity and nobility of that important relation, but it cannot on that account be called an obscene libel. There is no obscenity in it. On the contrary, it denounces obscenity of every description on almost every page. Nor can the language in which he expresses his ideas be said to be in any proper sense obscene, lewd or indecent. It is not against the law to print or sell books which contain ideas and doctrines upon religious subjects which conflict with and are contrary to the orthodox teachings upon the subject. Every man has the right under such a government as ours to discuss such questions, either orally or in print, if he does so in a proper and becoming manner, and does not in doing so violate the decencies of life. He may call in question and argue against any received doctrine of the Christian faith, if he uses in doing so proper and becoming language but if one should introduce into such a discussion blasphemous language or ideas, or obscene, lewd, or indecent thoughts or words, or should make his description the occasion for reviling and scoffing at the most sacred things, or speaking of them in a profane, abusive, or indecent manner, he would unquestionably be liable to be indicted and punished therefor. That did not stop Theodore Roosevelt, then a member of the United States Civil Service Commission, from calling Tolstoy a "sexual moral pervert." When I started rereading the novella (my 1957 Vintage edition, translated by Isai Kamen, is 115 pages long), I soon realized I had not bothered to finish it the first time around, back in the mid-1970s. Rather than finding the author’s arguments about marriage “obscene,” I think I simply found the form of the piece – the first 52 pages are like reading a lecture (sermon, perhaps “screed” would be better terms) – tedious. At the time, I was just more interested in (pardon the expression) a ripping good story. This is no different than his novel, War and Peace which I’ve read at three different stages in my life and found different reactions to it each time. The first time, as a kid, I remember skipping over much of the theorizing on the nature of history to get to the “good parts” with their thrilling battle scenes. The second time, now in my 20s and in the midst of the Viet-Nam War, I realized how much those “good parts” were effectively and strikingly “anti-war” despite being considered great writing about heroic war-time events. The third time, more recently, I tended to focus on the philosophizing more than the personal romance of the story which is usually what seems to attract film-makers and what most people tend to remember about the book. Though I was familiar with the story, I still found myself discovering new insights into the characters and their relationships. Still, the story – depressing as it is – is a powerful one, particularly once it turns more to the “story” itself, the dramatic conflict between Pozdnyshev and his unnamed wife. And guess what: the building rage in the husband’s narrative is psychologically more compelling than if we were observing it second-hand through an omniscient narrator. No doubt, had Tolstoy been forced to submit his work to a focus group, it would have ended up being about 60 pages long, if that, all the philosophizing about morality and society and the institution of marriage left on the cutting room floor. Even the violent scene about the murder would be considered tame compared to what one sees on TV these days (been there/done that, in a manner of speaking). With the intensity of such a dramatic situation, it’s not surprising it was adapted to the stage. 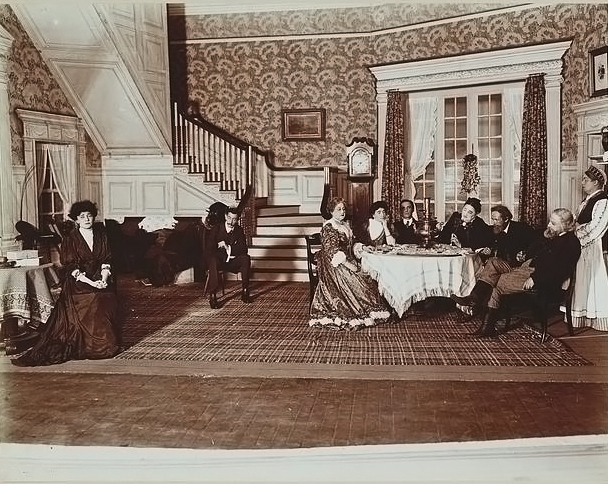 In 1906, it ran on Broadway (see photos, right and below left). 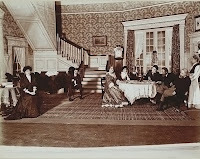 An article in the British newspaper, the Guardian – “The Kreutzer Sonata: Three Degrees of Separation” by Emerson Quartet violinist, Eugene Drucker, a novelist himself – included a photograph from a stage adaptation from 2009. There were several film adaptations as well, three of them between 1911-1915. And of course, there is Prinet’s famous painting, “The Kreutzer Sonata” from 1901 (see header illustration) depicting an event that actually is never described (only imagined) in Tolstoy’s original: a passionate kiss between the violinist and the wife, one hand still connecting to the piano, carried away by the music’s passion. Keep in mind that the husband in Tolstoy’s narrative is telling the story and much of what he mentions may or may not have happened – like that kiss – implied only in the way jealous minds imagine possibilities, then accept them as likelihoods before believing they are realities. As I mentioned in the Market Square Concerts blog post, Janáček in his string quartet came to this not as a literal representation of its dramatic potential but as a psychological portrait seen from the vantage point of the wife. 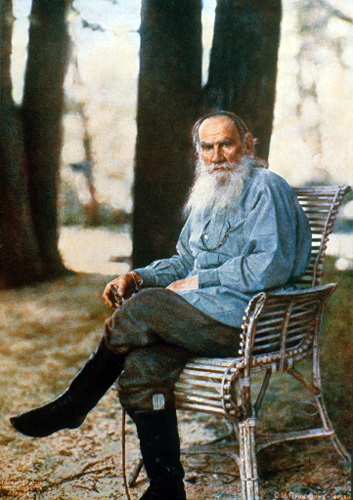 Curiously, in his later years, Tolstoy’s new-found religious attitudes created severe difficulties between himself and his long-suffering wife, Sofia (or Sonya). 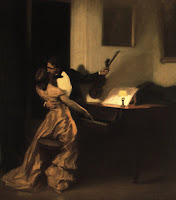 Their early years may have been marked by “sexual passion and emotional insensitivity,” a comment which makes The Kreutzer Sonata sound a bit autobiographical. 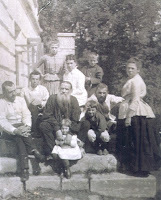 She bore him 13 children, five of whom died in childhood (see family photo, below right, taken two years before he finished The Kreutzer Sonata). He died in 1910 at the age of 82, running off during the winter following a bitter argument with his wife, only to die in a nearby train station. Though Janáček first began working on a string quartet – and then a piano trio – inspired by Tolstoy’s Kreutzer Sonata in 1908, it wasn’t until 1923 that he actually composed the quartet we know by that name. Between those years, his own marriage deteriorated and they had already agreed to a mutual “in-house” separation before the composer met Kamila Stösslová in 1917. Tolstoy was considered a “Christian anarchist” but also had very strong views about other matters, not just religion and society. In addition to ideas about property and agrarian reform, he also was very clear about his views on art. For instance, he thought Shakespeare lacked any merit: reading the Bard’s most famous plays, he wrote, “not only did I feel no delight, but I felt an irresistible repulsion and tedium...". His attitude about music is also obvious in this excerpt from Chapter 23 of The Kreutzer Sonata, when Tolstoy’s character describes the affect listening to music has on him. He had invited certain musically inclined friends to a dinner party and a little musicale with his wife playing the piano for this violinist named Trukhashevsky, a man he is already jealous of. “They played Beethoven’s Kreutzer Sonata,” he continued. “Do you know the first presto? You do?” he cried. “Ugh! Ugh! It is a terrible thing, that sonata. And especially that part. And in general music is a dreadful thing! What is it? I don’t understand it. What is music? What does it do? And why does it do what it does? They say music exalts the soul. Nonsense, it is not true! It has an effect, an awful effect – I am speaking of myself – but not of an exalting kind. It has neither an exalting nor a debasing effect but it produces agitation. How can I put it? Music makes me forget myself, my real position; it transports me to some other position, not my own. Under the influence of music it seems to me that I feel what I do not really feel, that I understand what I do not understand, that I can do what I cannot do. I explain it by the fact that music acts like yawning, like laughter: I am not sleepy but I yawn when I see someone yawning; there is nothing for me to laugh at, but I laugh when I hear people laughing. “Music carries me immediately and directly into the mental condition in which the man was who composed it. My soul merges with his and together with him I pass from one condition into another, but why this happens I don’t know. You see, he who wrote, let’s say, the Kreutzer Sonata – Beethoven – knew of course why he was in that condition; that condition caused him to do certain actions and therefore that condition had a meaning for him, but for me – none at all. That is why music only agitates and doesn’t lead to a conclusion. Well, when a military march is played the soldiers march to the music and the music has achieved its object. A dance is played, I dance and the music has achieved its object. Mass has been sung, I receive Communion, and that music too has reached a conclusion. Otherwise it is only agitating, and what ought to be done in that agitation is lacking. That is why music sometimes acts so dreadfully, so terribly. In China, music is a State affair. And that is as it should be. How can one allow anyone who pleases to hypnotize another, or many others, and do what he likes with them? And especially that this hypnotist should be the first immoral man who turns up? “It is a terrible instrument in the hands of any chance user! Take that Kreutzer Sonata, for instance, how can that first presto be played in a drawing-room among ladies wearing low-necked dresses? To hear that played, to clap a little and then to eat ices and talk of the latest scandal? Such things should only be played on certain important significant occasions, and then only when certain actions answering to such music are wanted; play it then and do what the music has moved you to. Otherwise an awakening of energy and feeling unsuited both to the time and the place, to which no outlet is given, cannot but act harmfully. At any rate that piece had a terrible effect on me; it was as if quite new feelings, new possibilities, of which I had till then been unaware, had been revealed to me. ‘That’s how it is: not at all as I used to think and live, but that way,’ something seemed to say within me. What this new thing was that had been revealed to me I could not explain to myself, but the consciousness of this new condition was very joyous. All those same people, including my wife and him, appeared in a new light. I’ll close with an anecdote about Tolstoy’s musical taste. In January, 1900, Sergei Rachmaninoff and the great bass, Fyodor Chaliapin, were invited to Tolstoy’s home, Yasnaya Polyana (see photograph of birches along the main entrance to the estate). Rachmaninoff played one of his own compositions, then accompanied Chaliapin in his song “Fate,” which is partly based on the famous opening of Beethoven’s 5th Symphony. Later, as his guests were leaving, Tolstoy obliquely apologized to the young composer. One wonders what he would have thought about the intense and often neurotic music Janáček wrote inspired by one of his most intense and neurotic stories? Stuart Malina conducts the Harrisburg Symphony in Prokofiev's 5th Symphony at the first concert of their new season - Saturday, Sept. 24th at 8pm and Sunday, Sept. 25th at 3pm at the Forum. You can read my introductory post on the Harrisburg Symphony Blog which also includes audio clips of an old 1960s recording of the complete symphony conducted by David Oistrakh (seen below, playing chess with the composer). Prokofiev's 5th Symphony quickly became one of his most popular and frequently performed works. Coming at the end of World War II, it was perhaps one of the most composer's happiest moments, artistically. But two things happened after the War. Now, back when he was 3 years old, Prokofiev fell, hitting his head against an iron trunk. He carried the resulting bump on his forehead till he was 28 years old, a few years after he’d composed his notorious 1st Piano Concerto and his “Classical” Symphony (someone joked that perhaps his talent lay in that bump). Shortly after the successful premiere of his 5th Symphony in mid-January, 1945, Prokofiev fell as the result of a spell brought on by overwork and his typically high blood pressure, suffering such a severe concussion that he almost died. Complicated by the heart attack he’d suffered in the spring of 1941 and which had seriously impeded his work on the opera, War and Peace, he now found his health quickly deteriorating. Basically, he never really recovered from this episode. His 6th Symphony in the dark key of E-flat Minor, often considered the 5th‘s “dark twin,” was completed and premiered in 1947, even though it had been begun before he started work on what became the 5th. It’s probably more representative of a “war symphony,” especially hearing the first two movements as an elegy on the tragic losses of war. But then came the political fallout after the war. Given that, how could government officials react to Prokofiev’s new symphony, his 6th? In February 1948, four months after the 6th Symphony was premiered, Zhdanov initiated purges against several musicians over the issue of “formalism” which sent both Shostakovich and Prokofiev into creative tail-spins. 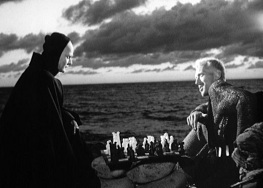 During the different artistic crises of the ‘30s, both were young enough to either argue their positions or adapt, but now, both of them older and in ill-health, they more or less retreated. For many American listeners, it may be difficult to understand this. During the 1930s, when the new nation was still struggling to create itself barely a decade after the Bolsheviks’ unexpected success in toppling the weak provisional government following the overthrow of the Tsar in February 1917, the question was one of frequent debate and discussion as if Art, usually evolving over generations and centuries of cultural development, could be created from above for lack of time. Now, depending on your viewpoint, much of this could be defined different ways: certainly anything that tweaked bourgeois (Western) conventions must be suitable for Soviet consumption. What was more “real” than the stories of real people – or taking great dramatic themes and translating them into modern-day situations? Attitudes about such issues may change with time and may change drastically and unexpectedly. We might joke about “I didn’t get the memo” but in many cases, artists found themselves in very real danger, politically and personally, if the winds of musical aesthetics changed. This attack on “formalism” or “bourgeois influences” first began in 1936 with the attack in the press on Shostakovich’s Lady Macbeth of the Mtsensk District and, more or less as a result, hoping to win back good favor, he composed his 5th Symphony. (Again, for more details, read this earlier post at Thoughts on a Train already mentioned). As it happened, Prokofiev left the Soviet Union in 1918 feeling that, given the strife following the Revolution and the ensuing Civil War there, there was no room for his revolutionary approach to music (besides, all his premieres were being postponed because of the war, anyway). 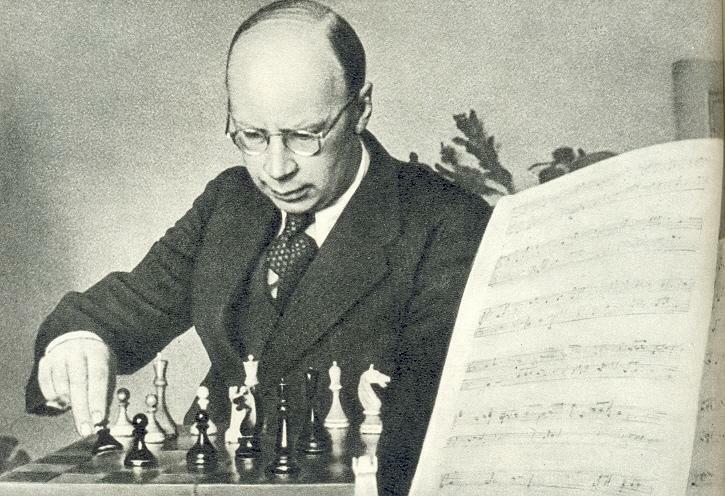 But after failing to find success much less recognition in the United States and creative satisfaction in France, Prokofiev made the decision to return to the Soviet Union in 1935, hoping to reconnect with his Russian roots. Keep in mind, Prokofiev was no longer the enfant terrible he had been in his early-20s: he was now 44 years old – is it possible this mellowing had something to do with the traditional mid-life crisis? Who knows, but it’s difficult to balance the Prokofiev who said music must be “tuneful, simply and comprehensibly tuneful” with the Prokofiev who’d composed his 2nd Symphony in Paris, a symphony patterned on Beethoven’s last piano sonata, begun when he was 33. And what is this “formalism” Shostakovich was accused of? Today, we would express this as an argument between music that is too intellectual versus music that is too shallow, depending on your point of view: is it music of the heart or music of the brain (as Roger Session, a well-known “difficult” composer, said, “as if one could exist without the other”)? In 1936, Shostakovich was being held up as the Party’s Whipping Boy though soon enough, not just artists in the Soviet Union were contending with the purges brought on by Stalin’s paranoia, often referred to as The Great Terror. So Prokofiev returned to find his old country violently in the throes of reinventing itself. And what did Prokofiev write, once he was back on this soil that was once Russia? Unlike Shostakovich, who was becoming primarily a symphonist – and a symphony was considered a bourgeois Western form – Prokofiev composed film scores (attractive to the Masses), large-scale choral works based on texts by “approved Soviet poets” (inspiring to the Masses) and a children’s tale set to music called Peter and the Wolf. He did not write a symphony until the end of World War II when Party regulations about music were, for some reason, relaxed. Aside from his “Classical” Symphony, his next three symphonies had all been written in Paris: the 2nd, inspired by Beethoven’s Op.111, was a symphony of “iron and steel.” On the surface, this sounded like a subject that should appeal to the new Soviet aesthetic, keeping in mind something like Mosolov’s The Iron Foundry depicting in exact detail the noises of a busy factory, considered a masterpiece of the Revolution’s denouncement of bourgeois Romanticism of the 1920s but which would hardly pass muster with the attitudes of the ‘30s and ‘40s. His 3rd Symphony, written in 1928, was basically a four-movement suite based on material from the opera, The Fiery Angel which he was having trouble getting produced. The 4th is also based on stage music rather than being something symphonically conceived (I mean, in the traditional sense of a symphony), taking music from the ballet, The Prodigal Son, which he premiered in 1930 but which he revised so completely in 1946, following the success of his new 5th Symphony, that he even gave it a new opus number. So between 1924 (still in Paris) and 1944 (eight years after the prodigal Prokofiev returned to the Soviet Union) he had not really risked writing anything so formalistically bourgeois as a formally conceived abstract Symphony. Then, in the few short years between 1944 and 1947, he wrote three symphonies – the 5th, the large-scale revisions of the 4th, and the 6th. Could this be why Prokofiev decided to make his comments about "singing the praises of the free and happy Man," to give his new symphonic symphony an acceptable socialist patina? The next great shift in Soviet aesthetics occurred in 1948 and this time, Zhdanov and the bureaucrats came down hard on Shostakovich and Prokofiev, accusing them and several others of the crime of Formalism, essentially banning the performance of their music in Soviet concert halls. 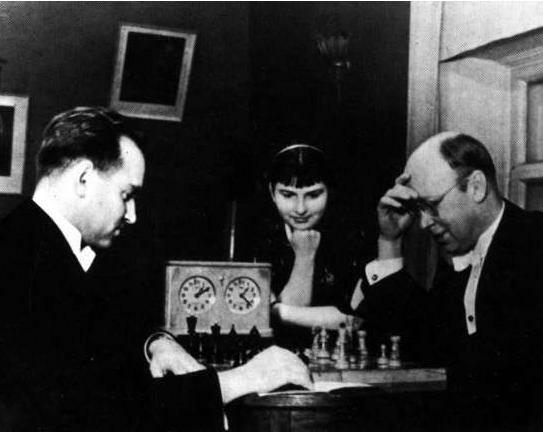 His health issues aside, Prokofiev never really regained his creative spark, though he continued to compose – especially inspired by the young cellist, Mstislav Rostropovich – but even politically correct works we would consider the product of a Party Hack were not well received either popularly or critically. In the end, even in death, Stalin had the last laugh. Stalin’s death was announced on March 5th, 1953 – he may have died the night before – and Prokofiev, suffering the after-effects of a cerebral hemorrhage, died hours later. A music periodical reported the composer’s death on page 116 – the first 115 pages were about Stalin. Even the crowds gathering in Red Square mourning the death of their leader, not far from where Prokofiev had lived, made it impossible for his friends to even remove the body from his home to take him to the headquarters of the Composers’ Union for the funeral until three days later. Hardly anyone in the great Soviet Masses knew that the composer whose 5th Symphony was so popular and appealing – and somehow lacking in formalism – had died. Let me begin with a seemingly unrelated anecdote. With that, he flung out his arms, hunkered his head down between his shoulders – one could almost see the glare in his eyes from our balcony seats – and they began again. This time, the music was riveting, spooky above all, and almost demonic, like some breathless nightmare. After they’d read through the notes, now the orchestra gave the music its soul. But they were the same notes: how could two run-throughs make it sound like an entirely different piece? I’ve never heard another recording of the piece match the fear and intensity of that rehearsal. What is it about music that allows two interpretations to be so radically different? Hindemith wrote the piece in the summer of 1940, shortly after he’d arrived in America as a voluntary exile from Hitler’s Germany in the months following the start of the Second World War. Think about it. While music can be considered on its own value – whatever that may be – the life of its composer and the times in which it was composed often have some bearing on an even more elusive aspect of art: its “meaning” (whatever that may be). One of the great things about art, of course, is that it transcends all of that to speak to each individual on a unique basis. The biography of a piece of music is full of certain facts and tinged with interpretation, just like the biography of the person who wrote it. One supplements the other and yet the music can be appreciated without our needing to be aware of either. 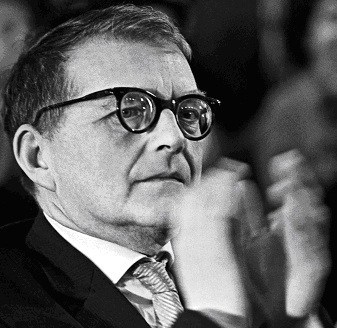 An old Cold War complaint was that Shostakovich was just a "propaganda" composer. Yes, he wrote things like the “Song of the Forest,” a cantata glorifying Stalin’s reforestation program (imagine an American composer writing a large-scale choral work extolling the virtues of the Bush Administration’s argument for increased oil drilling in the Alaskan Wilderness) but we in the United States have not lived under the kind of threat artists in totalitarian regimes deal with on a daily basis: while we may argue about Freedom of Speech, we do not necessarily fear for our lives as a consequence. Under Stalin, someone speaking out against the government would simply ‘disappear’ in the middle of the night, when a late-night knock on the door could be from the dreaded KGB, the Soviet secret police, coming to arrest you and subsequently, as happened to various friends of Shostakovich’s, imprisoned or executed. The 1936 denunciation appeared in the state-run newspaper Pravda (“Truth”) the day after a performance of his most recent success, the opera Lady Macbeth of the Mtsensk District had been attended by Stalin and his wife who then famously stormed out in the midst of it. The opera had already received rave reviews, had already been running for about 90 performances each in Moscow and Leningrad when it had even been hailed as the “prototypical Soviet music-drama,” and yet when the unsigned article, “Muddle Instead of Music” appeared on page 3 – Shostakovich himself, six-months shy of his 30th birthday, discovered the article after buying a paper in a train station while on a concert tour – even his staunchest supporters dropped him for fear of any contamination. It was not just a bad review: it was clear the article came not from some disgruntled critic but quite possibly from Stalin himself, whoever may actually have written it. A week later another scathing attack appeared, this one about his ballet The Limpid Stream, and he was now labeled an “enemy of the people.” He'd seen others arrested for merely espousing non-Soviet principals or pro-Western “decadence” in their art – when would they come for him? 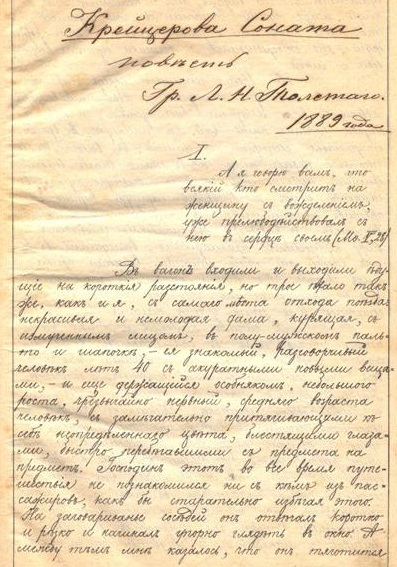 During this year, then, a former companion, a family friend, his mother-in-law and brother-in-law and an uncle were all arrested by the NKVD, the People’s Commisariat for Internal Affairs. In the midst of composing his 5th Symphony, he himself was called in to be interrogated by the NKVD about his association with a powerful military figure, Mikhail Tukachevsky, a fan of Shostakovich’s music who had recently been implicated in a plot to assassinate Stalin. The story is told by a friend who recalls the composer telling him how he had been “interviewed” on a Friday but since he could not recall ever discussing politics with Tukachevsky, just music, he was told to return on Monday as if, perhaps, his memory might improve. That weekend, Shostakovich hardly slept. When he left for his second “interview,” his wife had prepared a little bag for him with traveling stuff (like warm underwear) because they feared he would not return but be sent off to a prison like many of his friends. This time, his name was not on any list of “interviewees” and he was again sent home, only to discover later the officer interrogating him had himself been arrested! Shortly after Tukachevsky was executed, Shostakovich’s close friend, the musicologist Nikolai Zhilayev, was arrested and executed. A short time before, the composer had shown him part of the new piece he was working on at the moment, his Fifth Symphony. A couple of years later, the poet who wrote the words Shostakovich had set in his film-music, The Counterplan, was executed as well as the poet who wrote the book for his ballet, The Limpid Stream. Even the great theatrical director Vsyevolod Meyerhold was arrested, tortured and executed, implying even an internationally recognized figure like Shostakovich was perhaps not immune from Stalin’s Terror. Given that atmosphere, you might understand how a composer who wished to survive to write another day might decide to do the dictator’s bidding only to put his true soul into music that could be left, by the very nature of art, a secret. Someone called Shostakovich’s 5th Symphony “a Soviet artist’s practical response to just criticism,” a comment that stuck (I think it’s even inscribed in the published score) and on the surface the music genuinely responds to the Pravda attack: instead of screaming dissonance and an acute lack of melody as his earlier music had often been described (or derided), this work veers away from the more aggressive harmonic direction his music had been taking in the previous decade, creating something simpler that could be called a “populist” tone. Consider, however, the history of his 4th Symphony which he’d begun writing the year before this Pravda article, then completed four months afterwards. After ten rehearsals – wow! – and just days before its scheduled December premiere, he was talked into withdrawing the work, an hour-long extravaganza for a huge orchestra and two nearly half-hour long movements separated by a brief scherzo, music full of violence and violent contrasts that perhaps was even more deserving of Stalin’s complaint about “neurotic” music. Whether it was out of fear or dissatisfaction with the piece, he put it aside (it would not see the light of day for another 25 years). In mid-April four months later, he began work on the 5th Symphony which he completed in three months: its premiere in November, then, would establish him as an artist rehabilitated. It went on to become perhaps his most popular piece, if not his greatest symphony. Reports say that during the last movement, many in the audience stood as if royalty had entered the room, as one described it; the ovation at the end, depending on whom you read, lasted a half-hour, 40 minutes, almost an hour. Clearly, Shostakovich had proven he could write a symphony that would reach the Soviet masses. In many respects, it is a symphony about the struggle with fate – like Beethoven’s 5th, Mahler’s 5th, Tchaikovsky’s 4th and 5th (perhaps it's a 5th Symphony Thing to struggle with fate). At this point, it becomes impossible to avoid the book that has changed the West’s perception of the composer from a political doormat to a raging undercover dissident, Semyon Volkov’s Testimony which purports to be Shostakovich’s memoirs as told to the author in numerous meetings in the years before his death in 1975, then smuggled out of the country and published in 1979. This is certainly a viable comment since it's a famous moment from the very opening scene of what is considered the greatest Russian opera, Boris Godunov by Mussorgsky, an historical opera based on a tsar who usurped the throne, possibly murdering the only available heir, and who desires to be declared the new tsar by the acclamation of the people. Only the people are not willing to do so until forced by the police to beg Boris to become tsar. Did people in the 1870s see this scene as a comment on the Russian social system? Perhaps not at the moment, but I think many Russians would understand it as part of their heritage: certainly the poorer classes were constantly being coached and badgered against their own deeper feelings to acclaim the country’s rulers and their policies. Part of this begins long before the finale: the struggle that has gone on with the first movement’s constantly shifting tempos always accelerating before breaking off into something almost static or perhaps only to start over again, as if one’s heartbeat is racing but then you catch your breath; the stark contrast of the brief scherzo; the agonizingly tragic lament of the slow movement; and then the rousing (or supposedly rousing) march of the final movement comes to a long drawn-out expansion of the march-tune which can be played in two ways. If you conduct it in 2 (two beats to the bar, conducting half-notes) , it is fast and triumphant sounding; if, however, you conduct it in 4 (four beats to the bar – quarter notes – but with each beat in the same tempo as the previous half-notes), it loses its drive and perhaps does sound mechanical and hollow. I have not seen the original manuscript in the composer’s handwriting to know if what some people have said is true, that there was a misprint in the published score and the composer “intended” it to be “in 4" or if the quartet-note got the beat, not the half-note, and my miniature score is so miniature, even a magnifying glass doesn’t clear it up. Even before Volkov’s “Testimony” appeared, I’ve heard performances with the “expansive” ending: the recording Maxim Shostakovich conducted (recorded in 1977 and available on RCA) also takes the expansive ending. A composer writes notes on a page, choosing pitches that create the right combination for what he wants to express in the melodies, harmonies, colors and rhythms of his creation. But it is the music “between the notes,” left to the performer, which the composer has no control over: once he is finished writing it and sends it off into the world, the music is at the mercy of first the performer and then the listener. The listener can only approach it after a performer interprets it and then walks away with something that could have little to do with what the composer had in mind. Then I heard the next batch of recordings to come out, conducted by the composer’s son, Maxim: now, I discovered, these were wholly different works, exciting and deep, thought-provoking and sometimes even just plain scary. The notes were the same: why was the music different? Did Ormandy not “understand” these pieces? Or was I just more receptive to Maxim Shostakovich’s approach? It could be a little of both, plus how I felt on that particular day, who knows... Remember my opening anecdote about the performance of the Hindemith, hearing the orchestra read through it and then, after being told it was supposed to be “spooky,” how suddenly everything changed? When I heard Stuart Malina conduct the Harrisburg Symphony in Shostakovich’s 5th several seasons ago, his approach to the accelerations in the first movement’s tempos left me so breathless I was almost imagining the "knock on the door" myself: how could these not be the thoughts of a composer who was fearing for his life – not Beethoven’s Fate that knocks at the door, but the KGB – and who was watching as friends and relatives around him were hauled into the net of Stalin’s Terror? If the slow movement is a lament, who is it a lament for? The reviled Soviet Artist being criticized for having written neurotic, dissonant music or the Russian people under the shadow of the tyrant? And so in the end, is it the Russian People who are hollowly rejoicing, mimicking the policeman’s call to rejoice, or is it the composer saying “I will do your bidding, but...”? We think of the Village Idiot as a figure of ridicule but to the Russians, this person was closer to God and given a certain amount of respect and “distance,” allowing him to say things and get away with them that an ordinary person would, perhaps, be arrested for. Returning to Mussorgsky’s Boris Godunov, one of the minor figures (to us) is The Simpleton, as he’s called – in Russian, this yurodivy – who appears in a few scenes lamenting the tears shed by the poor Russian people. It is a chilling scene and even in the West with our claims for Freedom of Speech, such an affront might not go without some retribution. Depending on how the scenes and episodes of this opera may be staged (they are individual tableaux, not a continuous drama), one can conclude the opera with Boris’ death (which makes sense in the West because, after all, the tsar is the star) or with the scene in the forest where the people, in open revolt, have captured some of the tsar’s supporters and, led by the False Dmitri, now march off to Moscow to bring down Boris’s government, leaving only the Simpleton on stage with his sing-song lament – tears, no matter what happens, only tears for the poor starving Russian people. Ending the opera with Boris’ death is a powerful operatic story about a man overcome by fate; ending the opera with the Simpleton’s lament is a powerful emotional ending to a story about the people who, despite their impending victory, will continue to suffer regardless who’s in control. Which do you think might resonate more with the Russian people themselves? And so we come to the 10th Symphony. 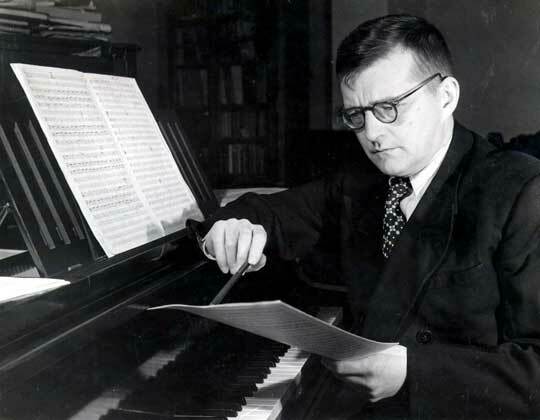 Since the symphony was a German musical form, the Soviets felt it was too Western for good Soviet listeners who needed less formalism, less pro-Western influences in their art, and so once again, Shostakovich – along with several other leading composers – was denounced as being a “deviationist,” “occupied by private whims,” for being “pathologically discordant”... and for writing symphonies. This time, he chose simply to retire from the symphonic stage and produced no new major works for the next six years. That didn’t mean he wasn’t composing: he wrote several works intended for more private performances, like the 5th String Quartet (“one of the toughest and most uncompromising of all his quartets”). He put his 1st Violin Concerto in the drawer and composed perhaps his most “western formalist” pieces inspired by the playing of a young pianist who could play all 48 Preludes & Fugues from Bach's “Well-Tempered Clavier” from memory upon request (which is how she won a major competition where Shostakovich had been one of the judges). Whether he fell in love with Tatiana Nikolaeva or her playing is immaterial, but she inspired him to write his own set of Preludes and Fugues (his Op. 87): in fact, she would die in the midst of a public performance of these in San Francisco in 1993. This was in 1951. Stalin died in 1953. The circumstances of his death can still be debated but the immediate impact on Shostakovich was one of release: Stalin was dead! He was still alive! And so in quick succession, he produced a series of new works that would not have fared well under the old regime, some of them lying in his desk drawer for several years: perhaps the new regime would be more lenient with the arts? He reported that he had begun his 10th Symphony in the summer following Stalin’s death and that it was a direct response to that event. And yet Nikolaeva said he’d begun it, apparently even completed it in 1951. According to her, during these “Fugue Visits,” he eventually played her the whole symphony as he was composing it: yet there are letters to friends and students saying how difficult the process was of composing it during the summer of 1953. Regardless, the work was premiered that December. There is a very long Mahler-like slow movement to open – Shostakovich always seemed uncomfortable with the traditional “Symphonic Allegro” to open his symphonies – followed by a brief but brutal “scherzo,” if one can call it that. The third movement is a nocturne, dark and mysterious, permeated by a horn call and a short motive that takes on more significance in the last movement. This finale, opening with a long slow introduction, contains a happy theme followed by a rough Georgian Hopak reminiscent of the violent “scherzo” before ending with a loud and decidedly triumphant ending. One of the opening brooding themes is actually a quote from a setting of Pushkin which he apparently completed in 1952 – a poem beginning “What is in my name?” Few of us in the West might know this song (or this poem), but what significance might it have had for the composer? Let’s look at the famous motive that concludes the symphony: it first appears in the middle of the nocturne but becomes triumphant at the final curtain, even blazing out on the timpani at the very end. It consists of the notes D - E-flat - C - B-natural. It was a ‘game’ that many composers played over the centuries, turning their names or their initials (or their secret girlfriends) into musical themes or motives: the most famous is Bach, spelling his name in the traditional German notation where H is B-natural and B is really B-flat – B-flat - A - C - B-natural. In German, E-flat is called Es and in German, Shostakovich’s name would be spelled with "Sch" instead of "Sh" (the initial letter, in Russian, transliterates to an "sh"). So these pitches he uses at the end of his 10th Symphony are actually his monogram – in German (how personal, pro-Western formalist is that?!) – D-S-C-H. He would later use this as a musical signature in other works, too: it also appears on his tombstone. What no one knew before it was revealed in the early 1990s was that Shostakovich had met and fallen in love with a student of his, the pianist and composer Elmira Nazirova. Though they’d met years before, many of the 34 letters he wrote to her correspond exactly to the time he was writing the 10th Symphony, the first one in April. He says he began work on the symphony in July: Elmira received 18 letters from him between late June and the week following the symphony’s official completion. She was living in Baku, Azerbaijan, and he was in Moscow. They rarely met and it’s quite likely she was more muse than lover and the letters trail off to only 5 the year after the premiere and stop when he announces, after the death of his first wife, he has remarried. Her name, too, is part of this symphony: the horn call that permeates the Nocturne. In a mixture of English and Italian syllables representing the pitches (as in do re mi fa so la), he could spell her name E - LA (for L) - MI - RE (for R) - A... or E-A-E-D-A, a fairly standard-sounding horn-call that brings to mind a famous theme from Mahler’s “Song of the Earth” (the opening movement, “The Drinking Song of the Earth’s Misery” [hmmm]). Throughout this movement, Shostakovich weaves his monogram with Elmira’s name. Later, when asked what this symphony was “about,” since its inherent drama clearly had some programmatic intent to most listeners, he replied in his famously side-stepping way, “in this composition, I wanted to portray human emotions and passions” and most elusively of all, “let them listen and guess for themselves." Whether Volkov’s testimony is even partly accurate or may be more conjecture than “straight-from-the-horse’s-mouth” accuracy – given the furor over James Frey’s memoir, “A Million Little Pieces,” a few years ago – there are more arguments now that it is a forgery. Since many of its quotes and ideas have already permeated the Shostakovich Legacy, it will be hard to filter what is fact from what may only be fiction. But the point remains, the music is there: however we choose to interpret it, pointing out this background fact or that possible afterthought, the music is capable of speaking in different ways to different individuals, with or without these references. I only point them out. P.S. 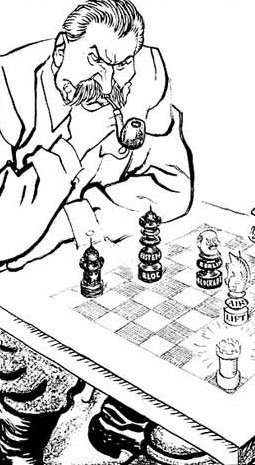 For more details concerning Prokofiev and his music on this same subject, see this post, Prokofiev and the Chess Match of Soviet Politics & Music. It is challenging, choosing music for September 11th. The Mozart Requiem which the Harrisburg Symphony is performing today with the Susquehanna Chorale is probably as good a piece as any, free of direct associations with the event. It was performed at the "Rolling Requiem" on the first anniversary where choirs in each time zone around the world performed Mozart's Requiem at 9am local time in tribute to those who died and those who survived. It also, musically, reminds us of the composer's life - likewise cut short - dying at the age of 35 before he was able to complete the work. In this previous post, I describe my own experiences answering the question "Where were you on September 11th?" And also my musical response, composing a string quartet inspired by the emotions experienced on that day which, when I attended rehearsals for the piece in New York City (the performance was here in Harrisburg, PA), I made my pilgrimage to Ground Zero, sat in the silent space behind Trinity Church, overlooking where the Trade Center once stood, and started reading through the score of my quartet before realizing this was not the place to be listening to this music. At that time, I worked the evening shift for a local classical music radio station. Like most people, probably, I sat there numbly listening to the reports, the discussion of events, the endless repetition, the speculation, the rage, the fear, the paranoia and the unfolding tragedy - the World Trade Center, the Pentagon and the plane that crashed in a field in rural Pennsylvania that might have, except for the bravery of its passengers, ended up in the Capitol or the White House. I had heard news reports, I had been watching television when the towers collapsed and I heard a reporter for NPR suggest the death toll - which so far nobody else was talking about, as I recall - that could reach 50,000. Knowing that eventually we would return to broadcasting classical music during the day and evening, I couldn't even begin to think about what might be suitable - certainly not "regular programming as scheduled." This was not the time to return to normal quite so soon even if it were days later. And then I realized, this was the first time I had cried all day, regardless of what I had seen or heard or thought about throughout the day. And I realized the intense power of music to cleanse the soul. 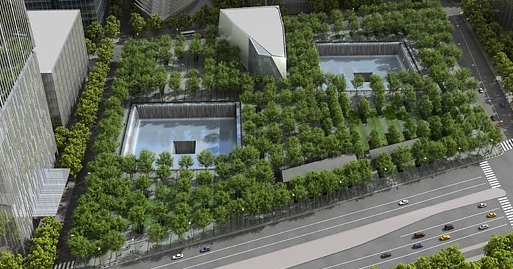 Today, ten years later, I do not need to be reminded of what that day was like. Even without the associations of lost friends, I can remember everything, watching it re-unfold in front of me like an unwanted film even when I try to shut my eyes against it. What I want to remember this day, ten years later, are the people who died there and the heroism of the people who went there to help. For me, silence - after hearing this short, simple musical prayer - is the best memorial. As I write this, it is 9:11am on 9-11-2011. Let the bells and the reading of names ring out in tribute. If you've followed this blog for any period of time, you're probably aware one of my favorite composers is Elliott Carter who will turn 103 in three months. His publisher, Boosey & Hawkes, had posted three short films from an interview recorded last year in which Carter discusses his life, his music and what motivated his creativity over the years. Thanks to John Clare for pointing these out to me. I've been wanting to post these two videos from YouTube for a long time and just haven't gotten around to it (as I've put off so many things: procrastinatus sum), so here are two works by Carter written for the cello during different periods of his career. The Cello Sonata, written in 1948, was a breakthrough piece, leaving his populist style behind and establishing many of the ideas that would identify his future musical voice, especially the rhythmic complexities as well as the contrapuntal layering of textures. Here, the cello plays a rhapsodic, emotional line (very "right-brain") against the severely logical piano part with its almost metronomic regularity (very "left-brain"). 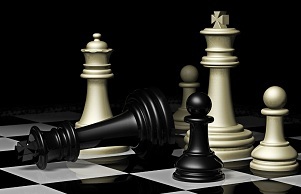 The argument, whether in Bach's day or Brahms', concerned the role of the brain versus the role of the heart which were usually considered to be mutually exclusive. Carter combines the two in an on-going dialogue to create a unified work of disparate elements. This video includes the score, but as often happens with YouTube postings, the performers are not credited. For some reason, this poster apparently did not get around to the 4th Movement, so here is a different (and likewise uncredited!) performance recorded by students at McGill University in 2009. 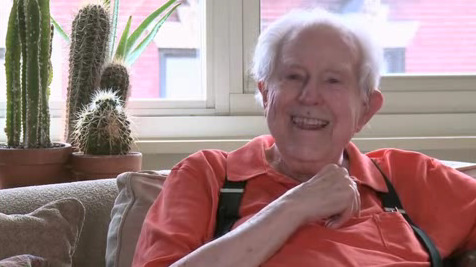 Here is Elliott Carter writing for the cello 52 years later. The Cello Concerto, written for Yo-Yo Ma, was composed in 2000 and premiered September 27th, 2001. This video was filmed at the dress rehearsal for a performance by Juilliard student Dane Johansen with the Juilliard Orchestra conducted by James Levine. Mr. Johansen won the Juilliard's Concerto Competition that year and had since gone on to become a member of the Escher Quartet. Recently, I posted about more recent works by Mr. Carter, one completed and premiered in November, 2010, and another premiered this past June. Header photo credit: screen-capture from opening of Boosey&Hawkes documentary film directed by Tommy Pearson of Red Ted Films.